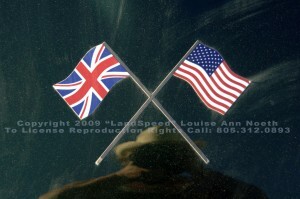 Vicki Cruse, an International Aerobatic Champion and president of the International Aerobatic Club (IAC) since 2005 was killed Saturday, Augst 22, 2009 in England just after noon. She was practicing for the World Aerobatic Championships being staged at Silverstone Racing Circuit, the home of British motor racing. No one else was injured in the incident. 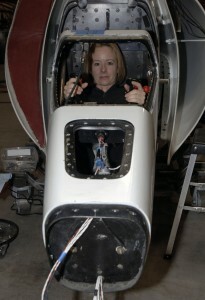 Vicki was also an Experimental Aircraft Association (EAA) director and board member. The 40 year old beloved pilot from Santa Paula, California, was pronounced dead at the scene. Mercifully, Vicki died instantly after her single-seat Zivko Edge 540 nosedived into the ground witnessed by motoring enthusiasts attending a car club event at the track. 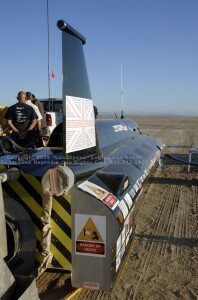 The plane had been borrowed for the contest to avoid the cost of shipping a personal aircraft to England. Although team blog entries by Cruse late last week indicated she was having difficulty with the aircraft’s engine and ignition system, that problem had been corrected according to a team official. Apparently, Vicki had completed a vertical climb and had pushed the nose over at the top in order to descend vertically. She then performed a one and one-quarter snap roll but was only able to slow, not stop the rotation that continued to the ground. Vicki was performing her “Q” flight, a qualifying routine in front of the judges when she was unable to recover from the snap on a downline. The plane crashed on the grass inside the racing circuit. British authorities, the Air Accidents Investigation Branch, is investigating the crash. The World Aerobatic Championships, being staged over 13 days, is Silverstone’s first-ever air show. Scheduled to run from August 17 to August 29, it has attracted around 60 pilots from 19 countries, all competing for the title of world champion. The championships have been staged every two years since their inception in 1960. The event will go on, Vicki surely would have wanted it that way, but in an abbreviated format. 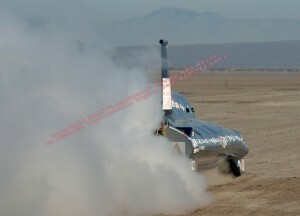 I met Vicki when we were looking for qualified women who had the ovaries to drive the Fossett LSR jet powered car to a new world record around 800MPH. In less than an hour after meeting her, I knew she was a “short-list” candidate that could do America proud if we ever got the race car fully funded. 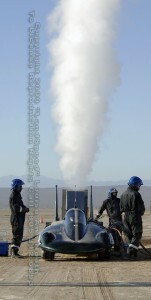 After our initial meeting in Reno at the race car shop, we met again out on El Mirage Dry Lake where she deftly buzzed our race team encampment in her gorgeous aerobatic plane waving her wings at us as she flew off to home in Santa Paula. 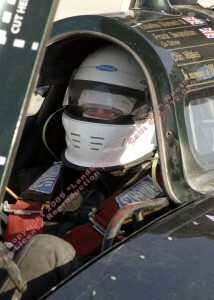 She was the first woman to qualify in her class to race at the demanding Reno Air Races. I liked this gal with spunky wit who was always ready for a bit fun with a prank. Vicki and I discovered we were neighbors in Ventura County and although we promised each other we would stay in touch after the Fossett program folded, our busy lives ensured that never happened. I am sorry she is gone from this mortal plane, she was one of those women who took visions and fashioned then into realities, a role model if ever there could be one. The images posted here are from our times together, including one with a couple of her flying trophies – the damn things were as big as she was! Many of her pilot pals may be thoroughly surprised by this news of driving a jet car, but if you knew Vicki, you knew she was always up for an adventure. Too soon, too young, too sad. Cruse was born in Springfield, Mo., and had logged more than 2,500 hours of flight time, nearly all of it in tail-wheel aircraft. She won the U.S. national unlimited aerobatic championship in 2007, and had been a member of the U.S. national team in 2002, 2004 and 2006, as well as this year. 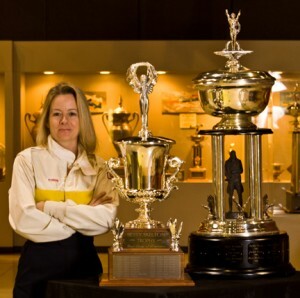 Among Cruse’s other aviation accomplishments were U.S. sportsman class national champion in 1998; intermediate division champion at the Championships of the Americas in 2000; and became the first woman to qualify to race in the sport class at the National Championship Air Races in Reno, Nev.
Cruse has been the owner of Berkut Engineering, a manufacturer of a tandem-seating two-seat homebuilt canard aircraft built primarily of carbon fiber and fiberglass since 2001, but was no longer involved with day-to-day operations, but maintained ownership. Cruse, whose educational and professional background was in marine biology, also wrote a technical counselor column for IAC’s monthly Sport Aerobatics magazine. She had served as IAC president since 2005. The details surrounding her death were culled from a variety of British news sources whom I thank for assisting me in preparing the tragic report. 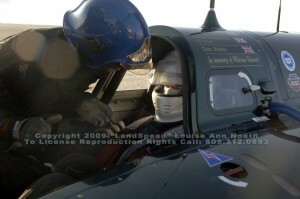 Development driver Don Wales suited up today on the Muroc dirt at Edwards Air Force Base to lay down a sizzlig pair of runs that qualify for another flying mile and flying kilo record — the second in two days for the British Steam Car Challenge! (see yesterday’s post for details) After weeks of grueling toil in withering desert heat, the Brits kept their wits and saved the best for last. Wales averaged 148.308 in the kilo and 148.166 in the mile. 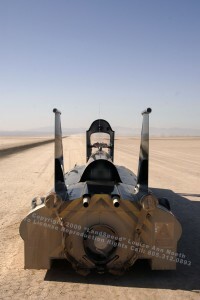 Muroc Dry Lake on the Edwards Air Force Base in southern California is the site of world record speed runs for the British Steam Car Challenge. The team now has the happy duty of deciding which of the provisional records it will submit for ratification by the FIA World Sporting Council. Odds are that owner/driver Charles Burnett III will submit an application for certification that will give both he and Wales each a piece of world record glory pie. Wales, is the grandson of Sir Malcolm Campbell, a noted icon in world record setting, and the nephew of Donald Campbell, Sir Malcolm’s son. 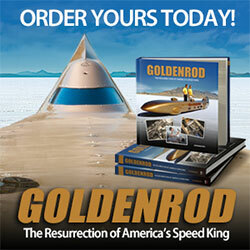 Wales is also the nephew of Donald Campbell, Sir Malcolm’s son, who also set plenty of speed records in the 1950s and 1960s before he died in 1967 when his speed boat (Bluebird) came apart in a spectacular 300MPH crash on Coniston Lake in northern England. Wales has had speed dreams with a car called the Bluebird Electric, but has yet to find any record-setting joy with the vehicle. It is thought that Wales might be eying an electric boat record in the future, but until then he will continue his work as a professional photographer.